San Domenico Stakes winner Star Turn heads the opening market for Saturday's Group Two Run To The Rose at Rosehill while his stablemate, Up And Coming stakes winner Divine Prophet is the top pick for the $1 million Golden Rose two weeks later. 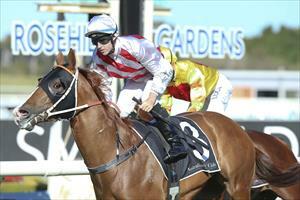 The Run To The Rose (1200m) is a chance for many others to cement a berth in the Group One Golden Rose. So far the Hawkes pair has shown how well they have developed from their juvenile season and rival trainer Chris Waller has a couple he hopes can do the same. Waller will run stakes winner Cellarman and new stable recruit Nikitas as they try to cement positions in the Golden Rose field.